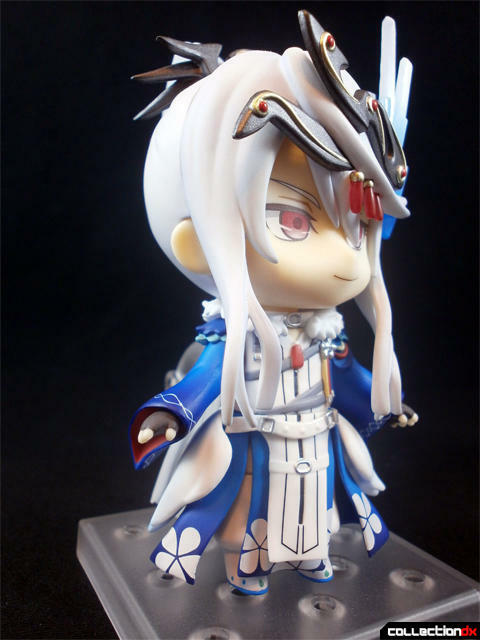 Thunderbolt Fantasy was my single favorite new media from last year. 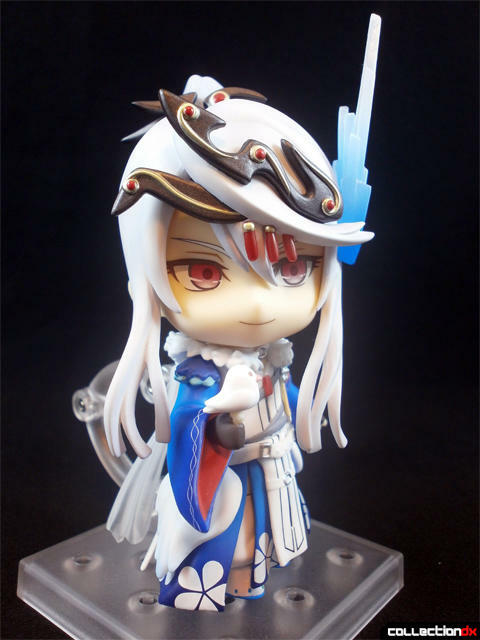 Directed by Gen Urobuchi and featuring some of Japan’s best voice talent, Thunderbolt Fantasy is a puppet show of the adventure of a ragtag band seeking to restore a legendary blade to its rightful home. 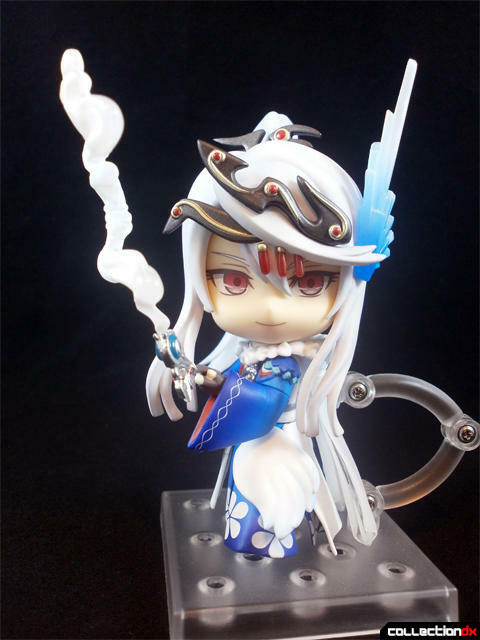 Since I don’t have a spare $3000 lying around to buy the replicas of the onscreen puppets, I settled for the Nendoroids. 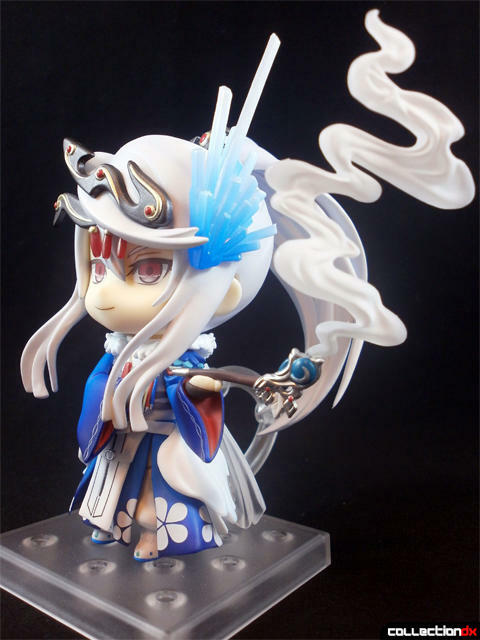 The first release from the series is Lin Setsu A, otherwise known as Kichou, a man whose every move and intention are shrouded in mystery. 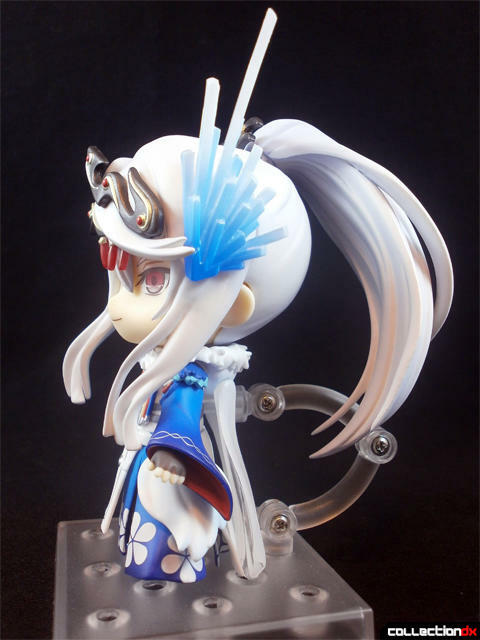 Supplied with this release are three alternate arms, two alternate faceplates, various accessories, and a spare neck joint. 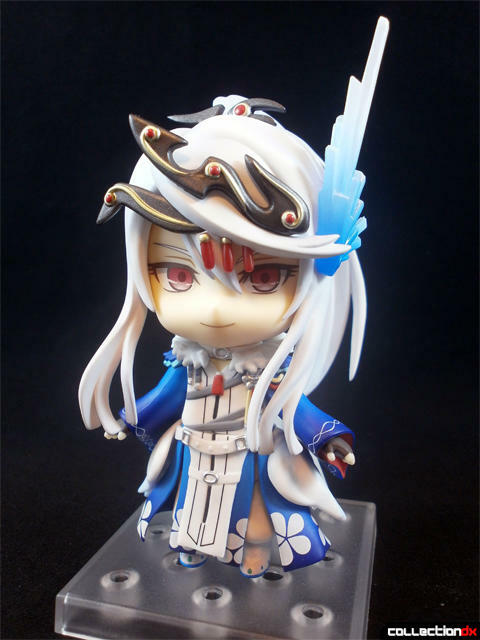 The Thunderbolt Fantasy puppets are all extraordinarily beautiful and detailed, and that splendor has been shrunk down perfectly. 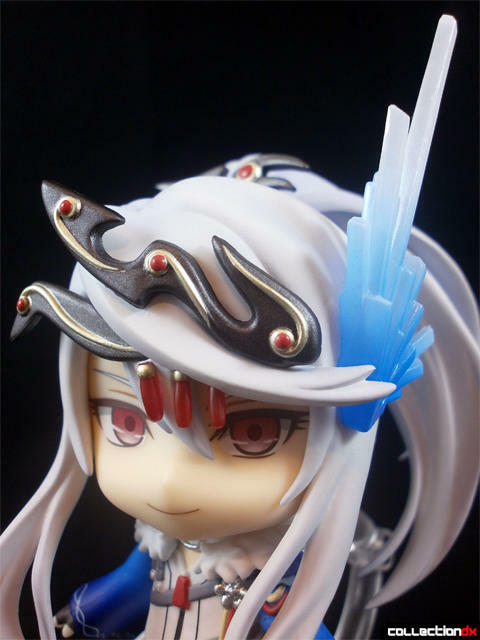 The three total faceplates are an anime-styled face, one designed to look like the puppet, and a chibi-styled one. 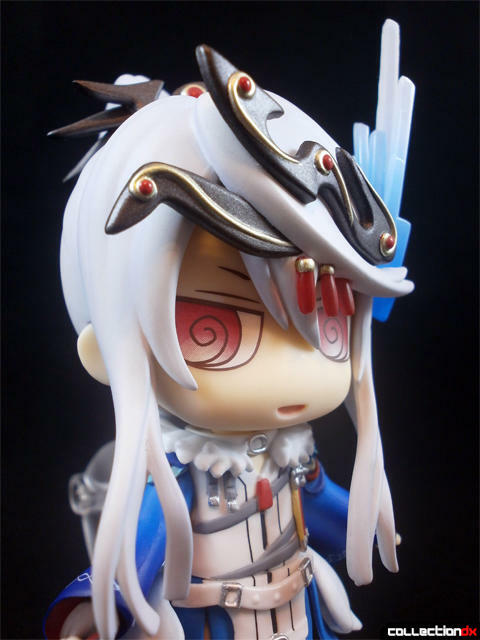 The inclusion of the puppet-styled face is a nice addition, but honestly just doesn’t quite look right on a Nendoroid. 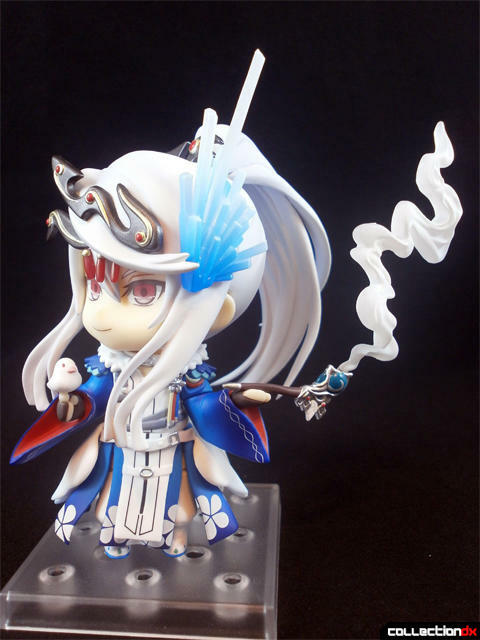 The first of Lin Setsu A’s accessories is a small bird that he uses to summon possible allies. The bird can be detached. 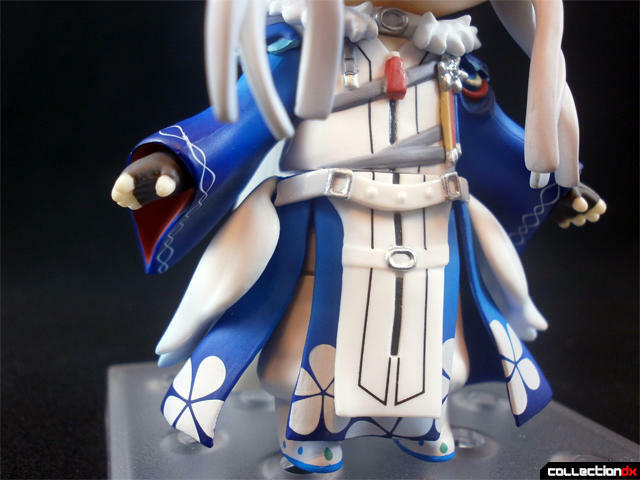 The second and more important accessory is his pipe, which blows smoke that can make foes see all sorts of illusions. 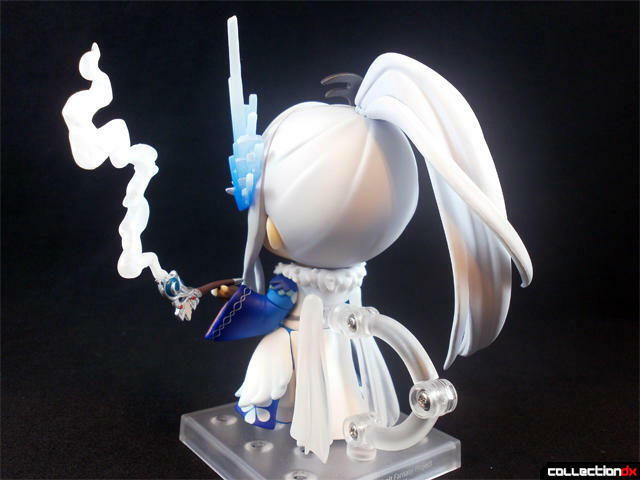 The pipe can be displayed with or without the smoke. 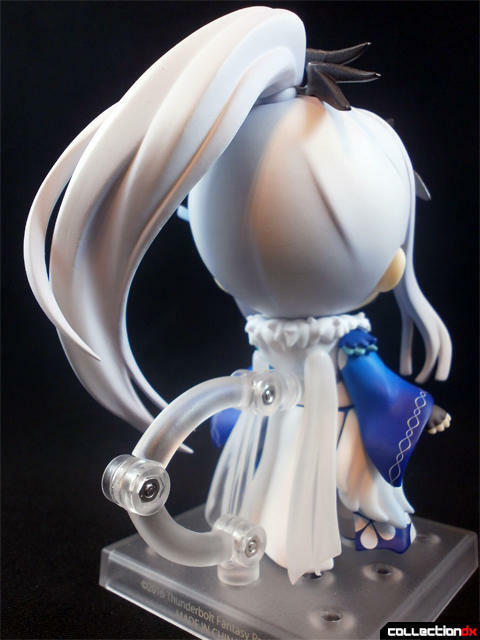 I wish there had been a few other accessories included too, but perhaps those will come with future releases. 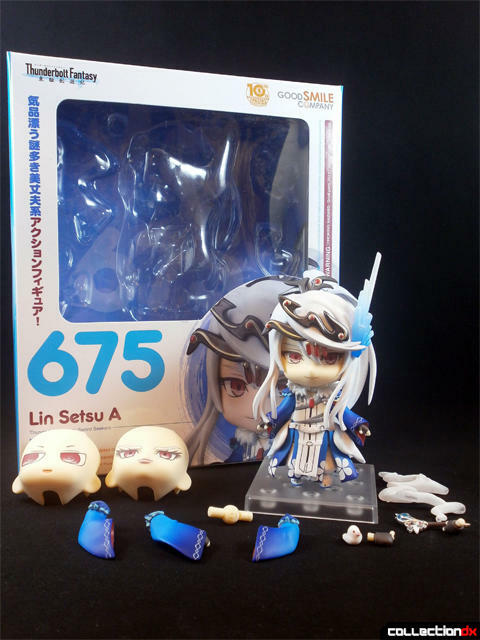 While I wish there were a few more accessories, I’m very happy with Lin Setsu A. 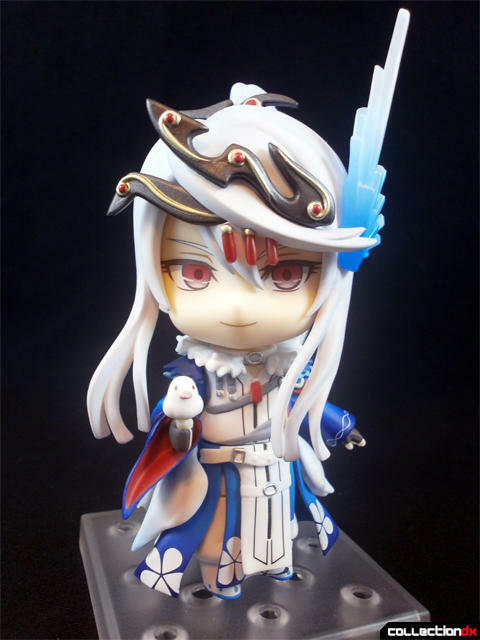 Any fan of Thunderbolt Fantasy owes it to themselves to get one of these. 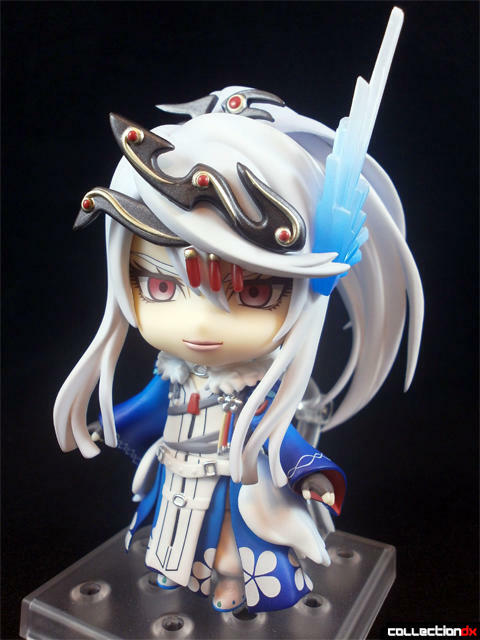 I just started thunderbolt fantasy yesterday! I'm glad it kind of just started, because I wouldn't want to start pili, considering how long it is!